The plantar fascia is a thick band of ligament that connects the heel to the toes. A fascia is such named as it does not connect any two bones together but runs between multiple bones adding support. The plantar fascia can be compared to a rubber band that is supporting the sole of the foot. In cases of plantar fasciitis, the fascia is being stretched and there is a microscopic tearing in the portion of fascia that is irritated, usually at the heel attachment. The pain associated with plantar fasciitis is either in the heel attachment or in the arch area and is usually worse first steps in the morning. After a little bit of "warming up" the pain will decrease and feel less tender. If a person rests and again tries to stand, the fascia will hurt for the first few steps again. Common treatments in rapidly treated cases include stretching with the support of physical therapy, orthotics, and possible injection therapy. It is essential to start quickly on care of plantar fasciitis as the longer the problem persists the harder it is to get rid of the problem. Over 75% of our patients at the Heel Pain Institute improve with a combination of stretching, physical therapy and additional support from shoes, insoles and/or orthotics. In rare cases and often if the plantar fascia problem is not treated in a timely fashion, plantar fasciitis may become more chronic. In such cases, the proper term would be plantar fasciosis or chronic scar tissue formation in the plantar fascia. With plantar fasciosis, the problem is a lack of blood flow to the fascia region resulting in a lack of healing potential. In such cases, pain may not resolve with stretching, support and cortisione injection and additional treatments such as platelet rich plasma injection, stem cell therapy, shockwave therapy, Topaz procedure, Tenex treatment, or plantar fascia release to name a few may be necessary. What sets us apart is our regenerative approach to plantar fasciitis. 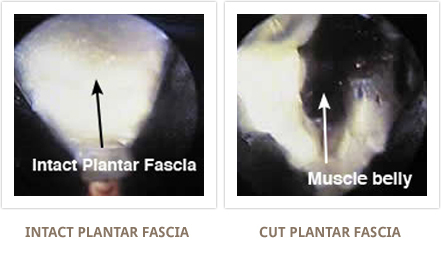 By increasing the blood flow to the damaged tissue and allowing the body to begin to heal itself, we have reduced the need for surgical release of the plantar fascia to less than 1%. Very rarely do we find the need for invasive surgery and in most cases, our individualized treatments will not require time off of your feet. A common but poorly diagnosed source of heel pain is a pinched or irritated nerve. Much like in the hand which can have carpal tunnel, you can get tarsal tunnel in the foot. 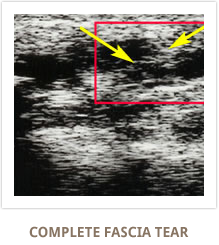 Tarsal tunnel syndrome is associated with irritation of the nerve along the arch side of the ankle and foot. This nerve supplies sensation to the sole of the foot and the heel. It is commonly irritated in cases of flat feet, and/or a tight Achilles tendon which causes rotation into the arch of the foot stretching the nerve. In some cases, there can be a mass in the tarsal tunnel nerve region or a bone spur that causes the pain. Rest, physical therapy and possible injection therapy may be used for conservative options. Casting of the foot and ankle may also be used. If pain continues, a tarsal tunnel nerve release may be necessary. More common than tarsal tunnel syndrome and heel pain syndrome is calcaneal nerve as a cause of heel pain. The calcaneal nerve, or Baxter's nerve as it may be called, is the branch of nerve in the tarsal tunnel region that supplies the heel. This branch of nerve runs through its own tunnel under a muscle belly in the heel region. The nerve can get irritated with or without associated plantar fascia pain. Commonly, the pain is associated with burning and tingling into the heel area. Pain gets worse with walking and activity and additional support from an orthotic or insole may irritate the nerve due to the pressure in the area. Treatment consists of physical therapy and possible casting, cortisone injection therapy and possible platelet rich plasma or stem cell therapy. In rare cases, the tunnel for the calacneal nerve will need release to relieve the pressure on the nerve. In patients who have limited soft tissue on the bottom of the heel, or in cases of overuse of the foot, the bottom of the heel may be irritated due to an inflamed bursa commonly referred to as bursitis. Bursitis means inflammation of the bursa. There is a bursa located centrally on the bottom of the heel and can be a source of pain with walking. Pain will increase with activity and get worse the longer the person walks which is the opposite of plantar fasciitis. 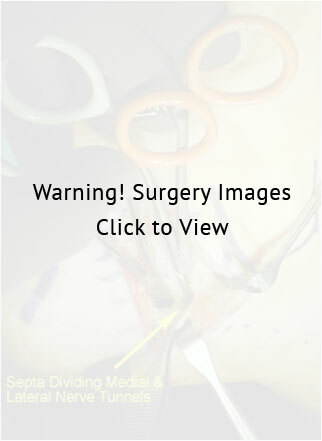 Treatment options include padding the heel, cortisone injection into the bursa which often requires ultrasound guidance for proper placement and rest. It is very rare to require removal of the bursa unless infected. Fracture or break of the heel bone is usually a high energy injury. This is not a common cause of heel pain unless the patient is aware of the injury. What is far more common is a stress fracture of the heel. 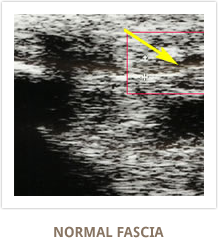 A stress fracture is a small crack in the heel bone which may be either due to chronic low stress or from a onetime high stress injury. 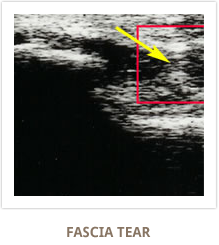 Stress fractures are often seen with increased new activity which the person is not used to doing. For example gymnastics, tennis, running that is new and causes an overuse of the heel bone resulting in pain. 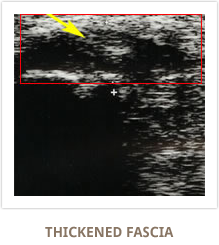 Often, a stress fracture is not seen on plain x-rays and an MRI scan of the foot may be necessary to make the diagnosis. Rest and use of a boot will usually result in full healing. Rheumatoid arthritis, gout and psoriatic arthritis may cause heel pain. This is often due to an inflammatory condition within the body that causes tendon, ligament and joint inflammation. The type of pain is often swelling and stiffness related and is usually involving multiple joints. Treatment usually requires physical therapy and arthritis medication to calm the inflammation and pain. In rare case, benign or malignant bone tumors of the heels can cause heel pain. This can be a devastating problem to miss and therefore, an x-ray of the heel is essential at the time of initial presentation for heel pain in order to rule out fracture or bone tumor. Commonly, the bone tumor is benign in nature and can easily be treated with removal of the cyst or bone lesion and filling of the area with bone graft. If you have heel pain, it is advised to get the cause properly diagnosed and treatment started early. This is especially true with degenerative conditions, such as arthritis or plantar fasciitis, to not only get relief from heel pain, but to also reduce any further damage that may lead to limited mobility. From conservative techniques, such as physical therapy and custom orthotics, to advanced treatments for heel pain, UFAI's Heel Pain Institute is sure to help you get back on your feet. Contact a heel specialist today.